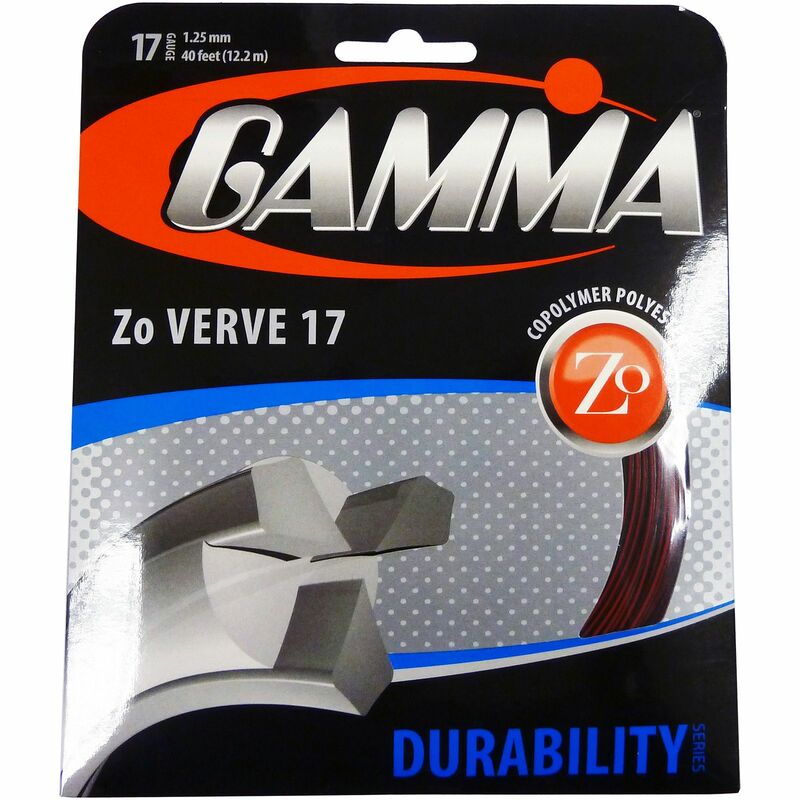 The Gamma Zo Verve 1.25mm tennis string set is 12.2m (40ft) long and ensures maximum power and greater spin for deeper shots from anywhere on the court. It is ideal for hard hitters and offers an amazing combination of ultra high molecular weight polyester (black) providing ultimate durability and spin, and the co-extruded Zo high energy co-polyester core (red) for outstanding elasticity, max feel and power. The string set has a gauge of 17 (1.25mm) and features a blend of stiff and soft materials for perfect performance. for submitting product information about Gamma Zo Verve 1.25mm Tennis String Set We aim to answer all questions within 2-3 days. for submitting product information about Gamma Zo Verve 1.25mm Tennis String Set. We aim to answer all questions within 2-3 days. If you provided your name and email address, we will email you as soon as the answer is published. for submitting product review about Gamma Zo Verve 1.25mm Tennis String Set.